This cosmopolitan family room is home to sofas, zigzag tables, and wicker chairs. 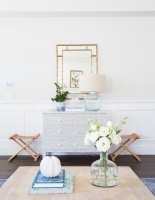 The rug inspired the blues and greens of the room's palette. 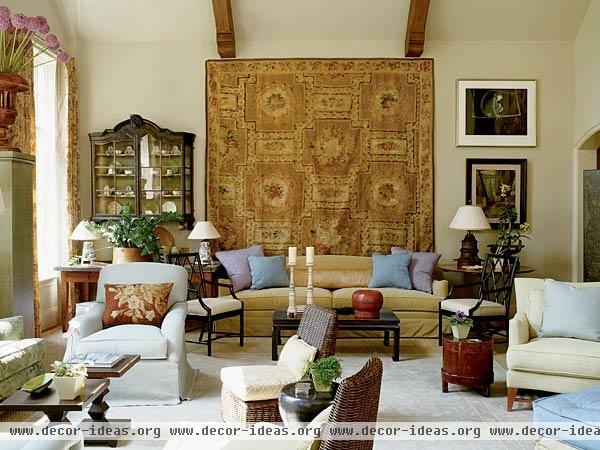 A wall tapestry is the focal point of the space.